WASHINGTON – When Jeb Bush said that to win the presidential election a Republican candidate might have to lose the primary, he probably had a weekend like this one in mind. 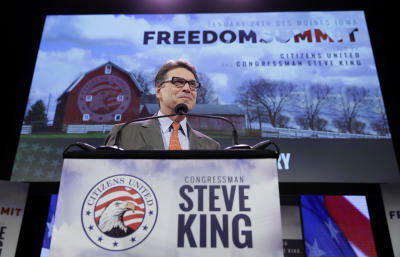 In Iowa, a host of second-tier possible presidential candidates — and a few big names — flocked to the first major event of the Republicans’ 2016 cycle: a cattle call of party speakers hosted by western Iowa congressman Steve King. King, whose often personal and derogatory criticism of undocumented immigrants has made him a poster child for GOP insensitivity to Latino voters, drew New Jersey Gov. 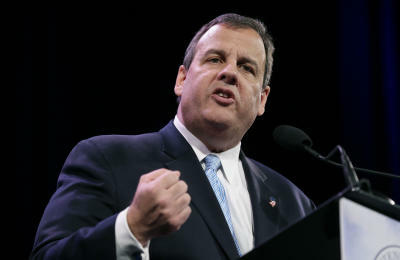 Chris Christie, Wisconsin Gov. Scott Walker, Sen. Ted Cruz of Texas, former Texas governor Rick Perry, and former Arkansas governor Mike Huckabee to his daylong affair, which was also broadcast nationally on C-SPAN. The tone, from the outset, was gloomy. America is “mired in darkness,” said David Bossie, a conservative filmmaker and activist who organized the event. Conservative talk show host Jan Mickelson opened the event by saying, “Nobody from Iowa cares a sliver about immigration. All of us came from somewhere. What we do care about is illegal gate crashers.” Former Alaska Gov. Sarah Palin called President Barack Obama “an overgrown little boy” for his executive action last year on immigration. And television personality Donald Trump criticized Bush for saying last year that some illegal immigrants come to the United States as an “act of love” to provide for their families. In other words, the King event represented the strain of American conservatism that prompted the GOP’s 2012 nominee, Mitt Romney, to say that undocumented immigrants should “self-deport,” and then go on to lose 73 percent of Latino voters to Obama. Bush’s remarks a day before offered a sharply contrasting view. In his first major public speech since declaring in mid-December that he’s seriously considering a presidential bid, Bush spoke from a massive stage in San Francisco to the National Automobile Dealers Association and a crowd of roughly 4,000 people. Bush talked expansively about his vision of America’s future with regards to energy policy, education and immigration. But he emphasized most strongly that anyone who wants Republicans to retake the White House has to start with a positive outlook. 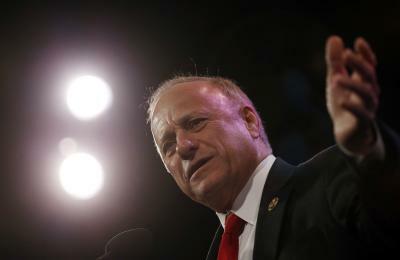 The former Florida governor, whose Mexican-born wife learned English as a second language, continued to press forward with a message on immigration that has antagonized the Steve King wing of the GOP, insisting that the nation is “starving for leadership in the public realm.” Just as Bill Clinton criticized the racially inflammatory remarks of rapper Sister Souljah during his 1992 run, Bush is trying to challenge his party’s cultural hard-liners on an issue that could alienate many moderate voters in a general election. Bush has said this before. He said it, in fact, in the remarks where he made his “act of love” comment. Bush did not repeat that rhetorical point on Friday in San Francisco. But he did note that immigrants start twice as many businesses as natural-born citizens, have higher home ownership rates, and that they have bigger families — which he said is needed at a time when America’s entitlement system is facing demographic strains as baby boomers retire. The U.S. should crack down on employers to prevent them from hiring illegal immigrants, Bush said. He also said that the U.S. should narrow migration rules so that only spouses and minor children can be used as petitioners for family members to come to this country, not adult siblings and adult parents. At the same time, he argued, the country should allow more immigration under visas for high-tech and high-skills employment. Bush also advanced a somewhat vague critique of American culture, implying that a lack of civic participation and national identity have somehow prevented the nation from solving the immigration problem. Bush, after his speech, sat for a question-and-answer session with NADA Chairman Forrest McConnell III, in which he answered a series of questions that delved into his personal life. In particular, he talked about his religious faith. Unlike his brother, former President George W. Bush — who talked about his Christian faith in language most familiar to American evangelicals — Jeb Bush is a Catholic convert. “My faith was strengthened when I converted to my wife’s faith,” Bush said. “Bushes aren’t good about, like, spilling our guts on things that are private. This is not easy to do,” he remarked. “But it gives me serenity that, in a world of a lot of turbulence, is really important. It creates a moral architecture that simplifies things. There are views that I have that are grounded in faith that really aren’t negotiable,” Bush said. Bush argued that his comment was taken out of context and that he was making a point that he wanted to be a governor for people of all races and backgrounds. “It’s so easy to open up wounds. You can have a provocative thought, but you don’t have to say it in a way that hurts people or turns them off. In fact, that’s the problem today: We don’t work hard to use language, and frankly, the bigger the idea, the more provocative the idea, the more you have to use language, I think, that doesn’t scare people, or insult them,” he said. Bush was one of five major GOP presidential hopefuls who did not attend the King event in Iowa. Also absent were Sen. Rand Paul of Kentucky, Sen. Marco Rubio of Florida, Louisiana Gov. Bobby Jindal, and Romney. Paul was in California at a gathering organized by the Koch brothers’ political organization, and pleaded a scheduling conflict. 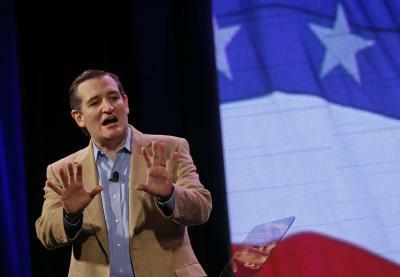 But Walker and Cruz, who are also attending the Koch event, stopped in Iowa first to address the King affair. Walker’s fiery and well-received speech there was the more surprising of the two. Cruz has long been a darling of the GOP’s grassroots, but Walker has faced questions about his ability to pair his undoubtedly formidable conservative achievements as governor with a dynamic personal presence that excites activists. His speech Saturday will put much of that talk to rest for some time. Rubio this weekend was meeting in Miami with supporters and major donors to prepare for a probable launch of his own presidential campaign. Jindal on Saturday was attending a Pentecostal-style revival meeting in Baton Rouge, where he shared his personal story of converting to Christianity after being raised in a Hindu household, the son of Indian immigrants. And Romney met Friday in Boston with advisers to talk about his own potential run, which, for him, would be his third attempt at the presidency.